Cottages located in Central Strahan, Tasmania. 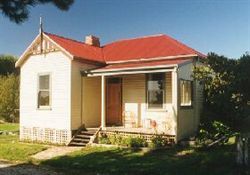 McIntosh cottages are lovingly fully restored turn of the century cottages, located at the main street of Strahan. It is one of the few cottages in Strahan still with a wood fire. Guests described the open wood fire as a "lovely surprise." The cottages are conveniently located, being about 500 metres to the Esplanade. They are fully self-catering and especially suited for families. Apartments located in Central Strahan, Tasmania. 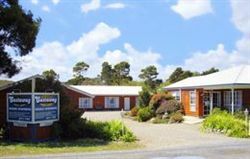 4.0 star rated Apartments located in Central Strahan, Tasmania. 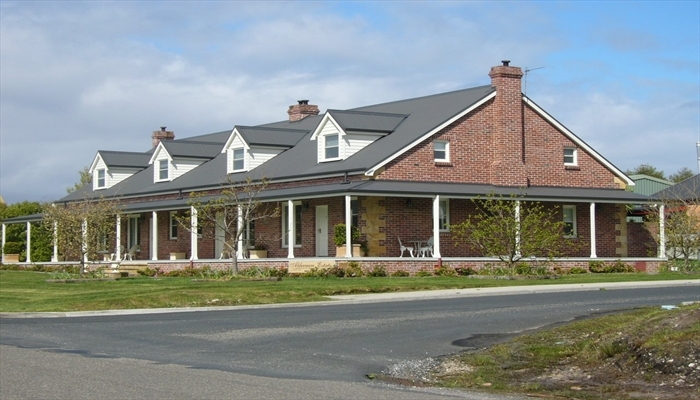 3.5 star rated Apartments located in Central Strahan, Tasmania. A room with a view guaranteed! Gordon Gateway has 180° views of Strahan and Macquarie Harbour cruise boats, sea planes, helicopter flights, yachting and town activities. 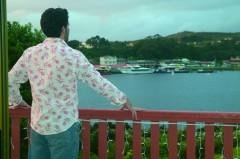 Refresh with a ten minute water edge stroll to Strahan's restaurants and shops. Rejuvenate as you melt into our luxuriously comfy pillow top beds and fine linen. Unwind and enjoy the 2 1?2 hectares of award-winning gardens. Self-catering studio units are available as well as other options include two bedroom chalets, executive suites and a spacious penthouse. The bungalows are well equipped with everything you may need while away from home. Each has all linen supplied (towels, bath mat, face washers, hand towel, sheets, pillows, pillow cases, doonas, spare blankets, spare pillows, (latex pillows on request), tea/coffee making facilities including plunger/plunger coffee, electric heating, electric blankets, large colour TV, iron/ironing board, hair dryer, clock/radio, fully equipped kitchen including ceramic hot plates, pots, pans and utencils. Each bathroom has slip resistant floor coverings that continue right into the shower . All have shampoo/conditioner, shower gel, shower caps, tooth brush & paste, and sewing/vanity kit. The property has a guest laundry with washing machine, dryer, clothes line, pegs, laundry powder and a vacuum for guests use. There is vehicle washing facilities. All are ground level with parking at the door. One is designed for the disabled, which includes ramp to the door, wheel in shower with seat, adjustable & demountable shower head. Wheel under hand basin and disabled designed toilet. Grab rails are installed in the shower and toilet. Each has an under cover verandah with out-door setting for guests to enjoy the fresh, clean air and watch the world go by. (Smoking pots are placed here too). Available on request portacot, high chair, board games and cards. Your hosts are happy to make activity (including cruises, Abt Wilderness Railway, sand boarding, 4-wheel drive tours, jet boat, sailing dinner cruise & more) and dining reservations for you, as well as sending or receiving faxes on your behalf.